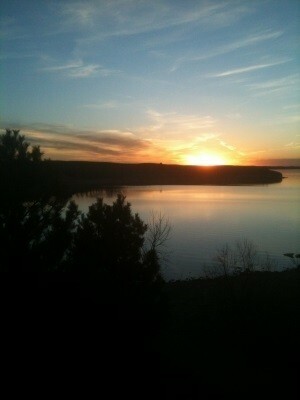 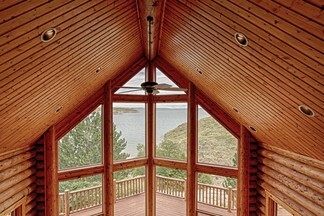 Best view on the lake!!! 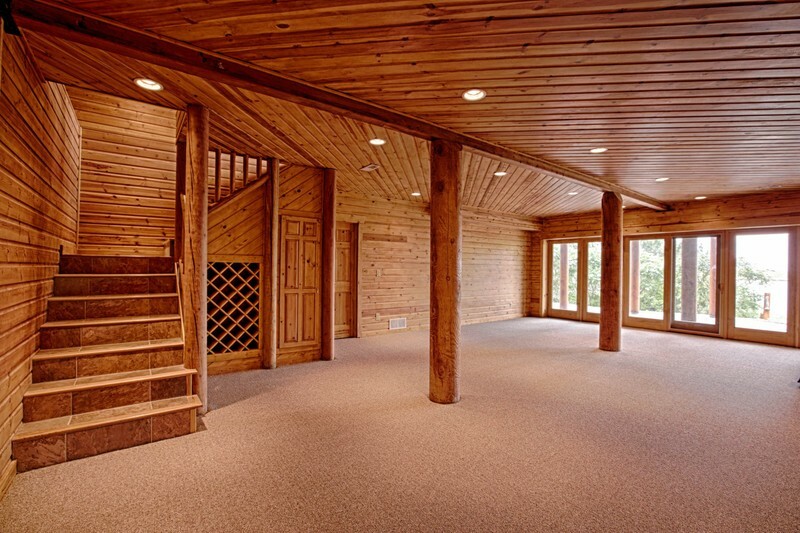 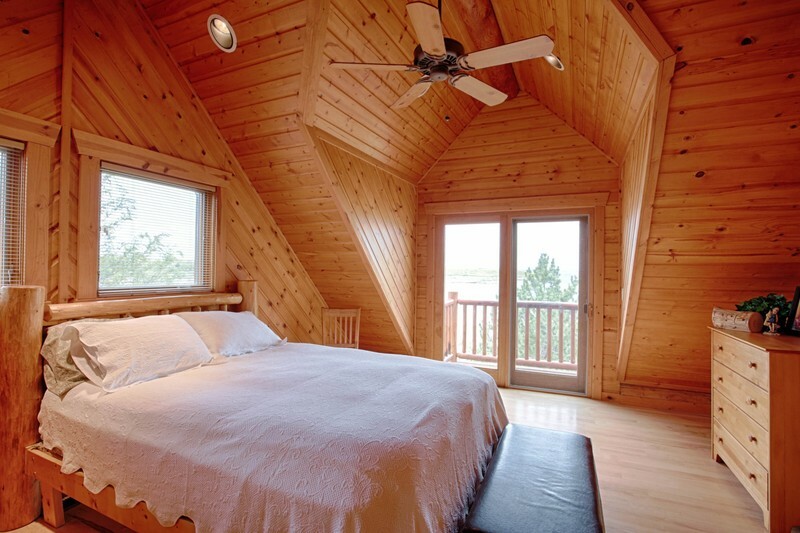 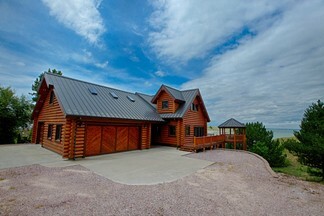 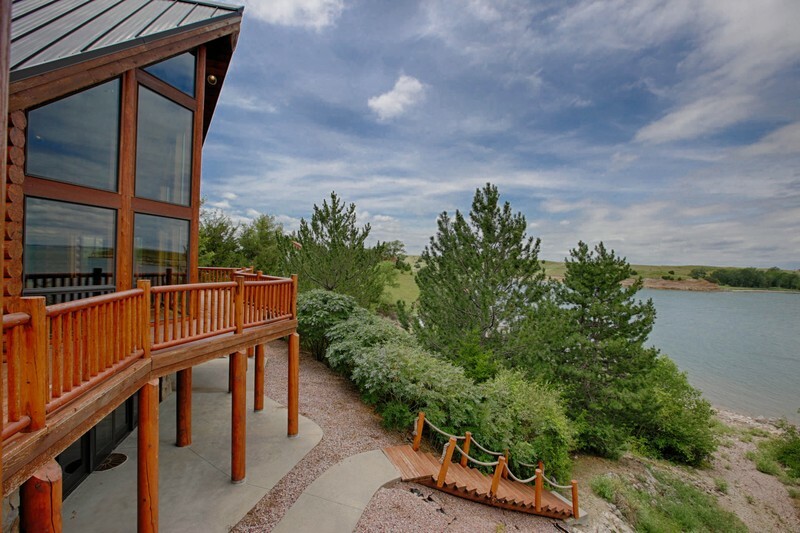 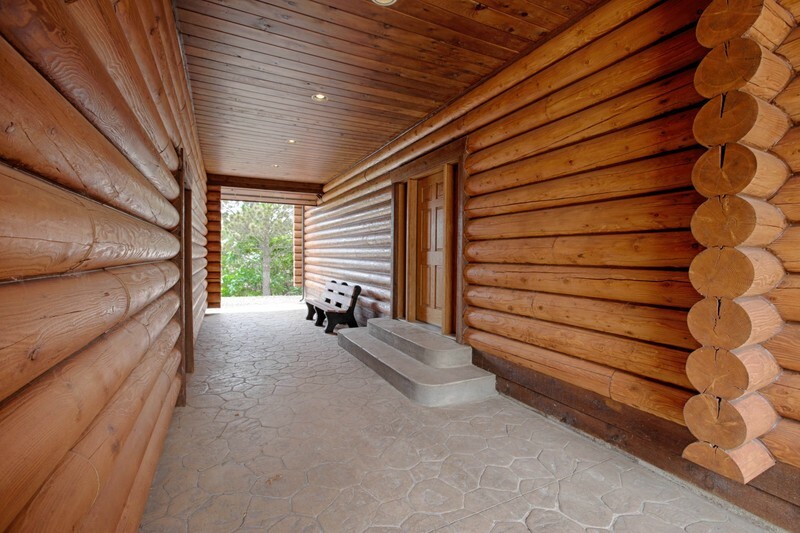 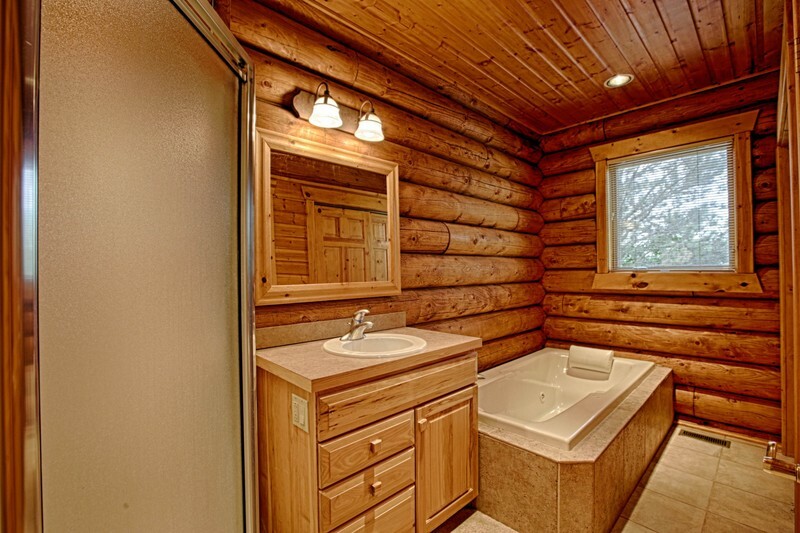 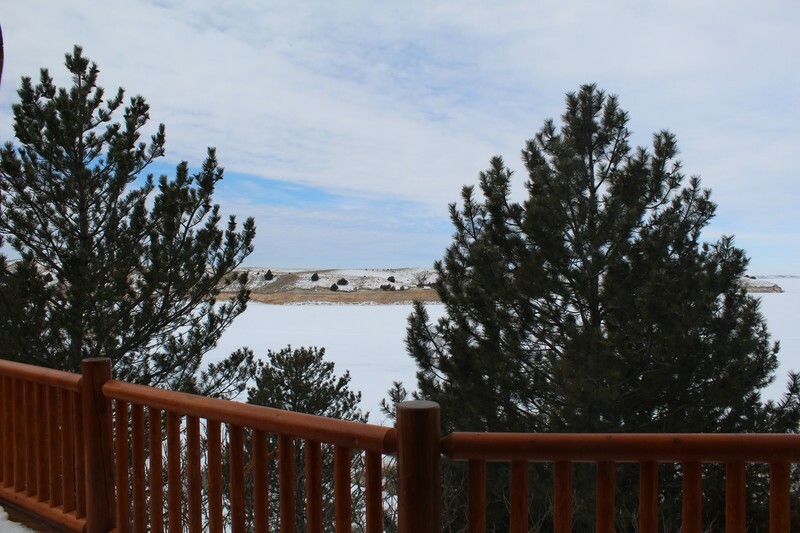 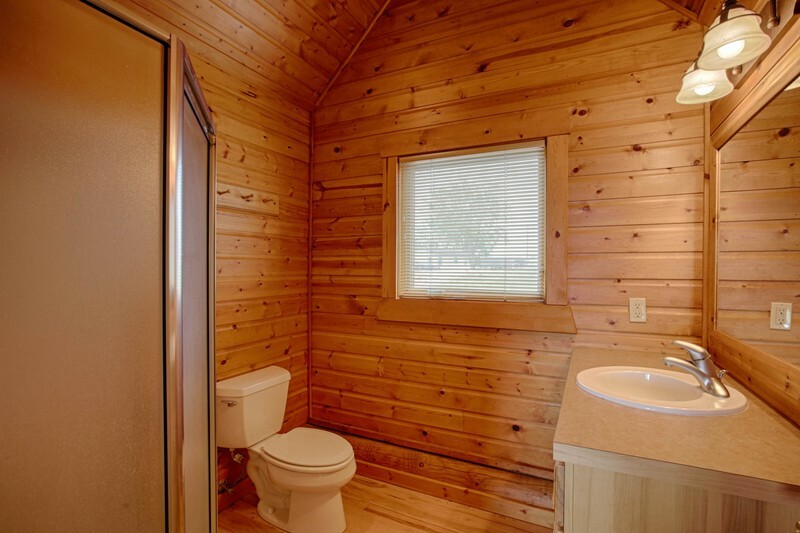 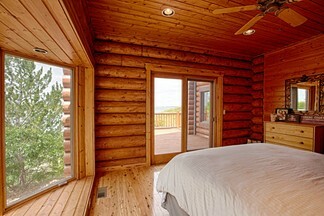 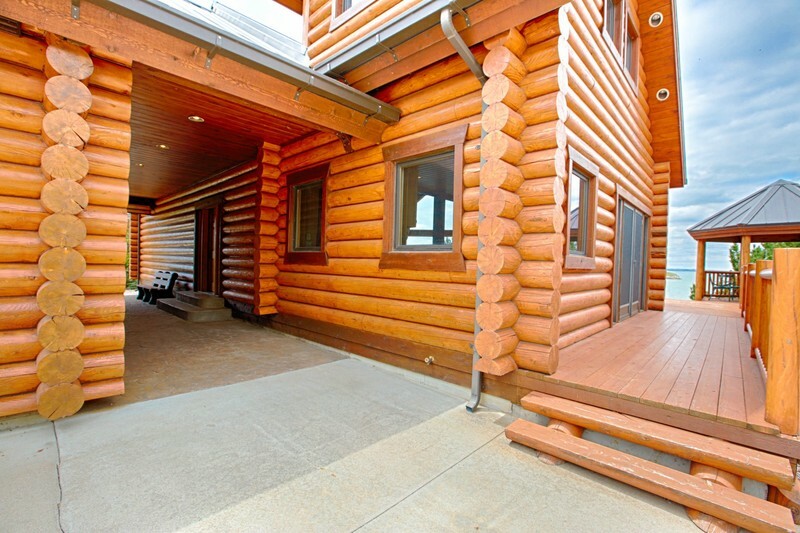 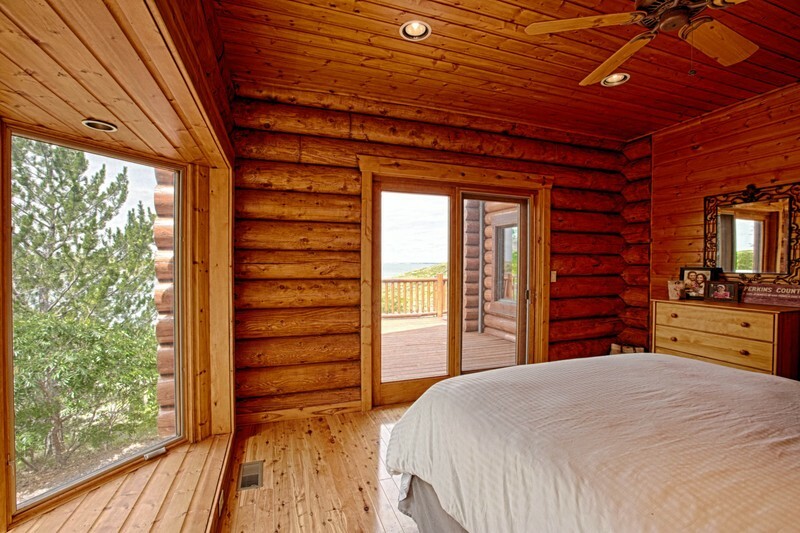 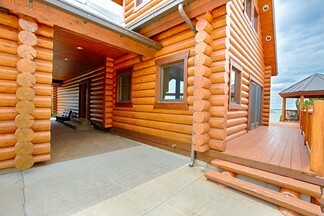 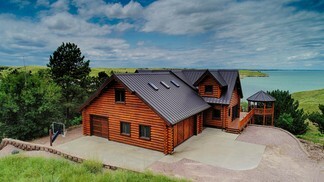 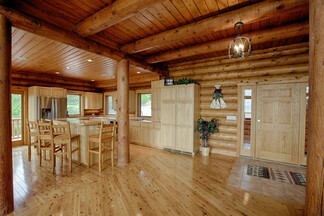 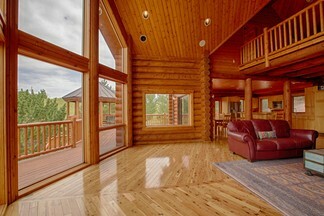 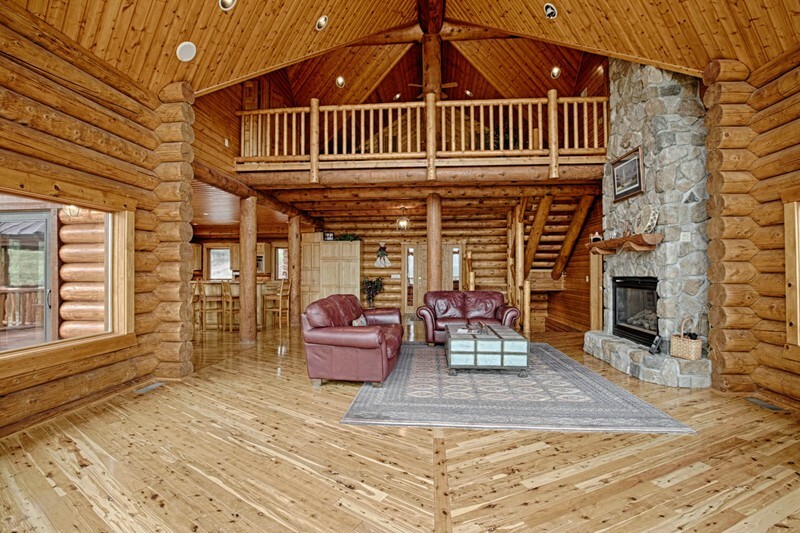 This custom log home on Lake McConaughy was designed as a family retreat. 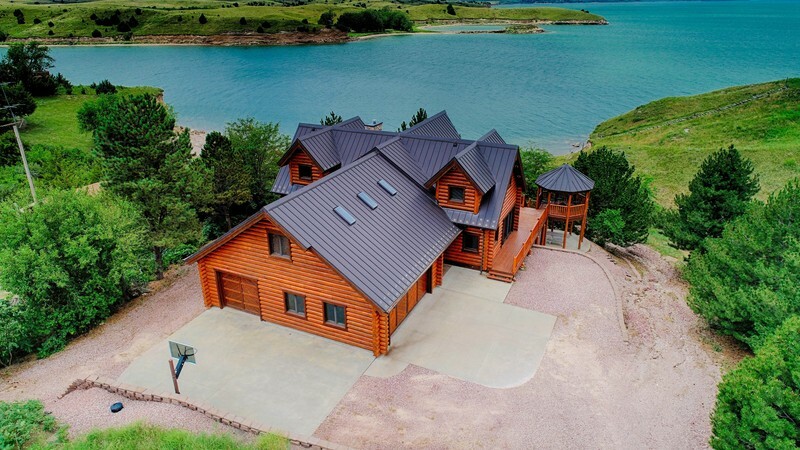 It was featured in Colorado Expression Magazine (August/September 2017): "Lake McConaughy Log Home: Remarkable home is a Family Labor of Love". Surprises that appear by design to others were part of the owner’s masterful plan. 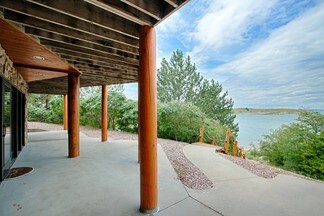 The prow of the home was extended for better vistas of the lake and creates a feeling that the lake is part of the home. 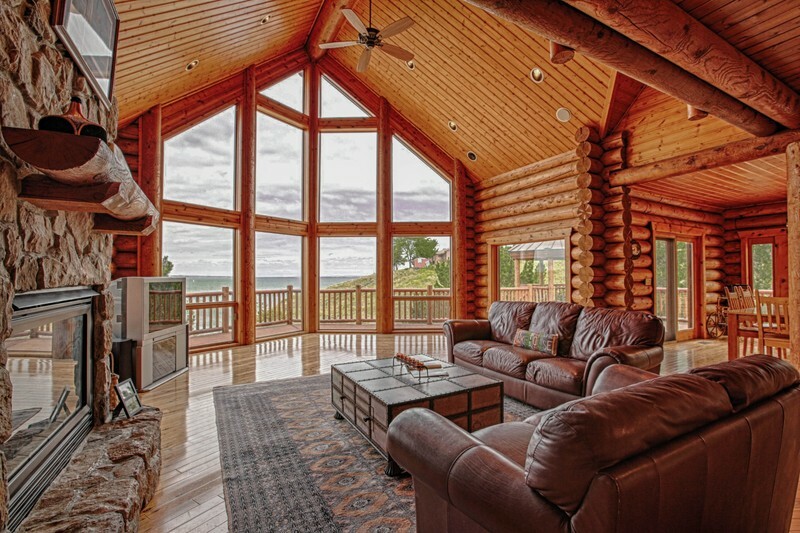 The great room wall’s original design of just a picture window was transformed to the massive peaked wall of glass to showcase the spectacular views of the lake and the serenity of the stunning sunsets. The wrap-around deck was expanded and extends from the master bedroom to the spacious gazebo featuring a gas firepit, with stairs leading to the lake. 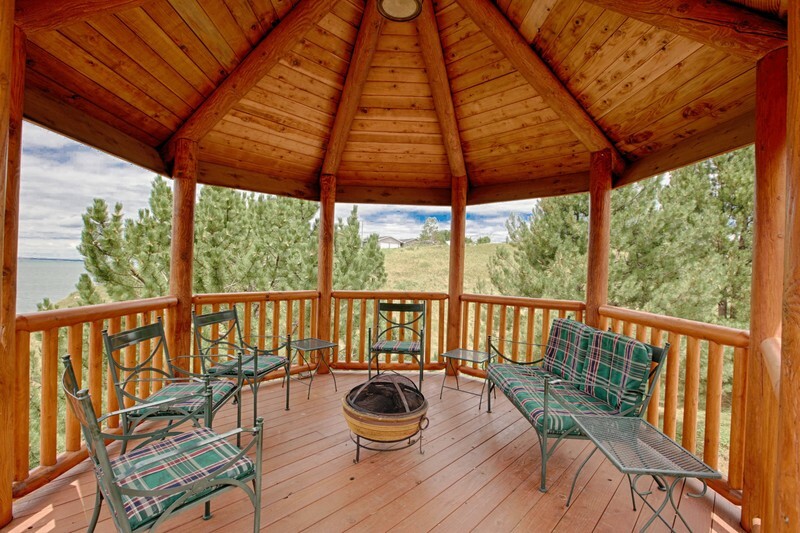 Just imagine spending time on the gazebo for coffee in the morning or enjoying an evening of gazing at the stars in the moonlight! Part of the charm of this home is the ability to bring friends and family together, whether by the hearth, the dining room, the loft, the lower level, the deck, and the gazebo. 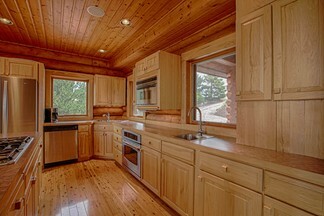 The kitchen features custom Birch cabinets and a large island with a cooktop for enjoying friends at the bar while preparing delicious meals. Two sliding glass doors open to the deck and gazebo. 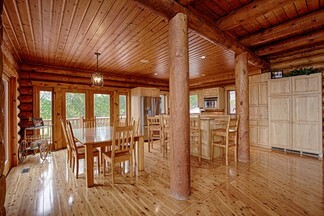 The six-foot telescoping dining table seats 20 and was commissioned to be built by the industrial arts program at the high school. 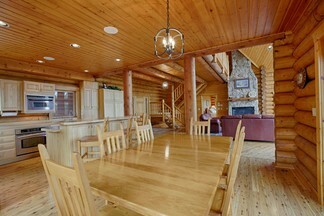 With additional tables set, the home will accommodate many more guests for holidays and dinner parties. 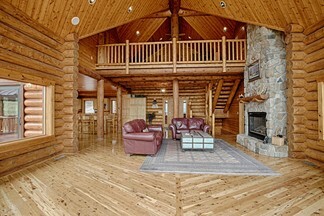 The home’s details are precise and masterfully crafted: The two-story stone gas fireplace features a custom log mantle. 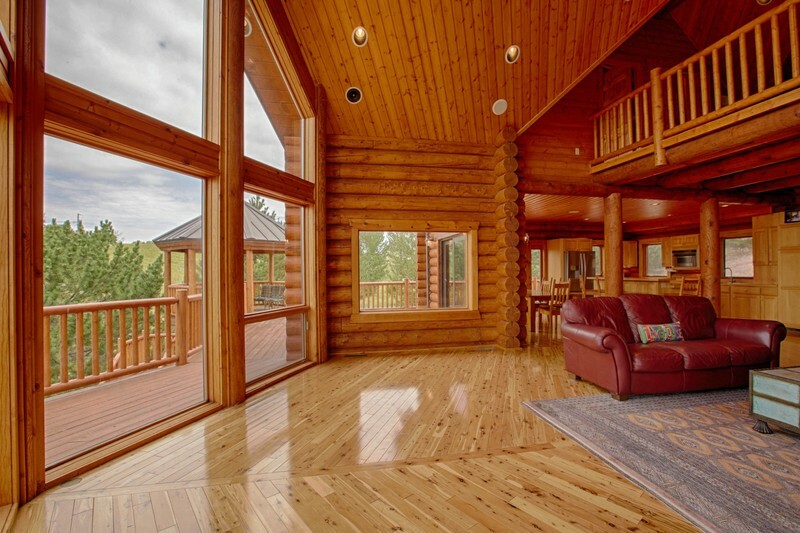 Radiant heating emanates throughout the gleaming Australian cypress wood flooring throughout the home. 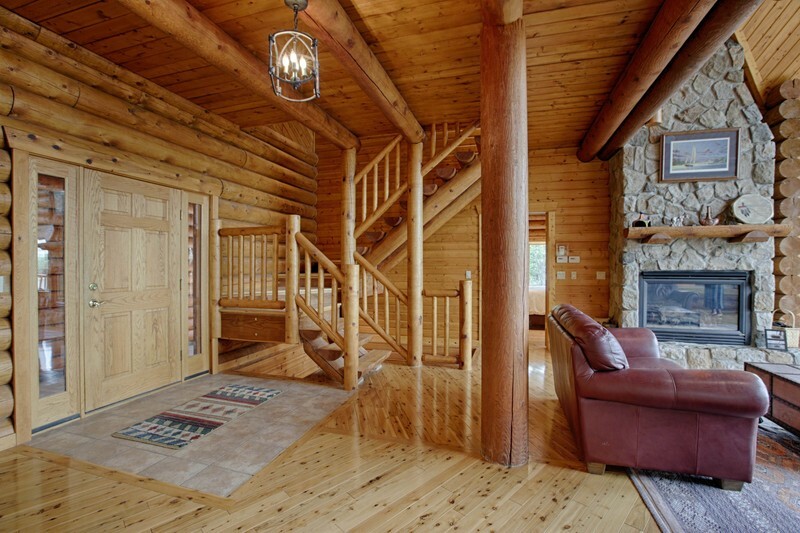 The stairs to the second floor were crafted by Roy Conway of Nelson Construction with half-split logs with slots to support the logs. 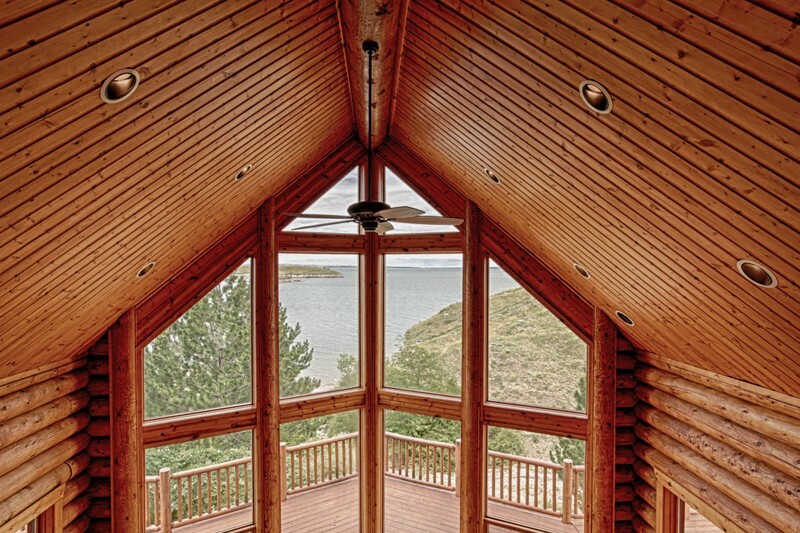 There are spectacular views from every window. The main floor master bedroom features a sliding door to the deck and a large bay window. The large loft overlooks the great room and boasts spectacular views of the lake. 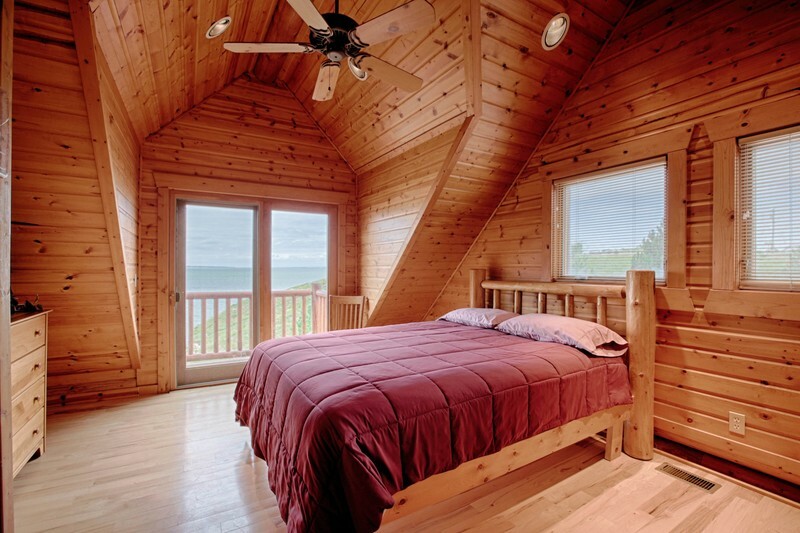 Both upstairs bedrooms have private baths, and balconies to enjoy the views of the lake and sunsets. 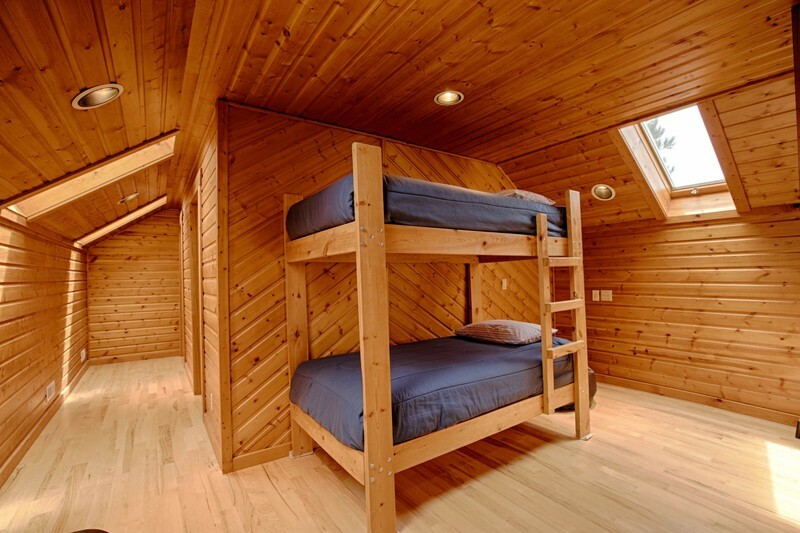 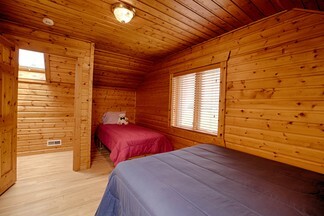 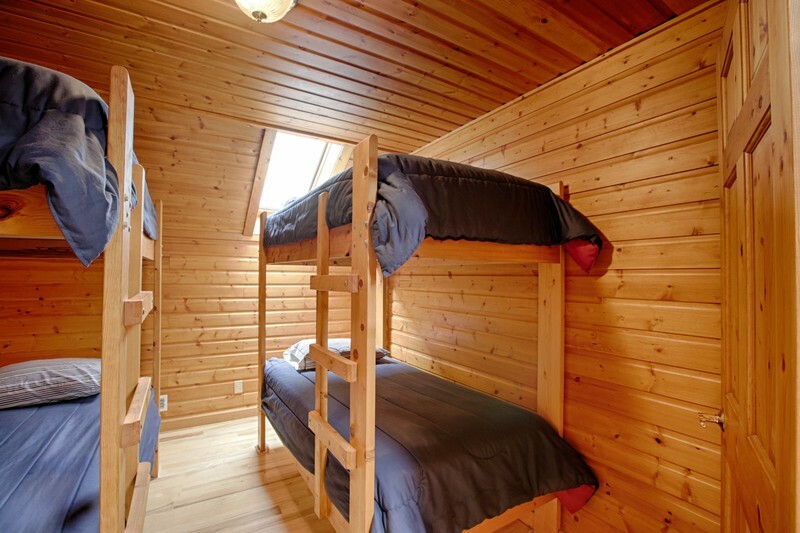 The kid’s zone is the delightful “bunk room” that sleeps nine in pine log beds. 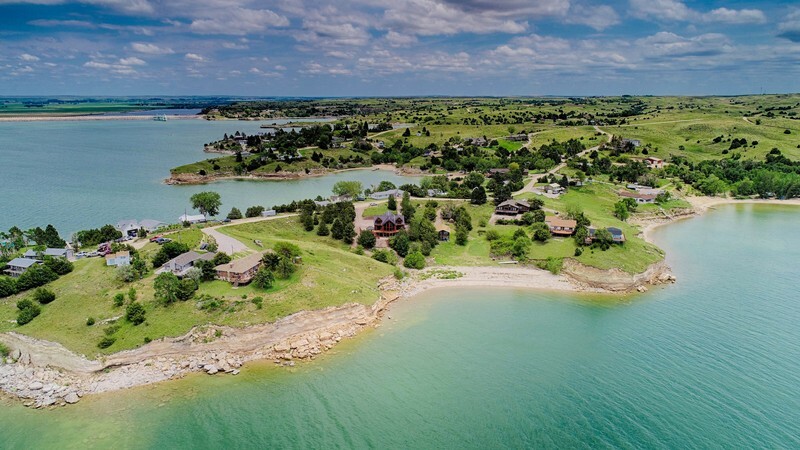 Imagine the laughter of children at bedtime as they talk about their adventures on the lake or playing on the basketball court adjacent to the garage! The lower level walk-out is finished and ready for amazing gatherings of friends and family. 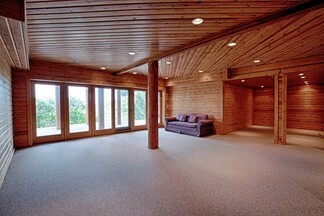 This space has new carpeting and is over 1400 square feet. 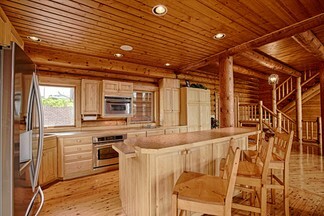 It features a spacious family room, a built-in wine rack, and a large alcove ready for you to design your bar. 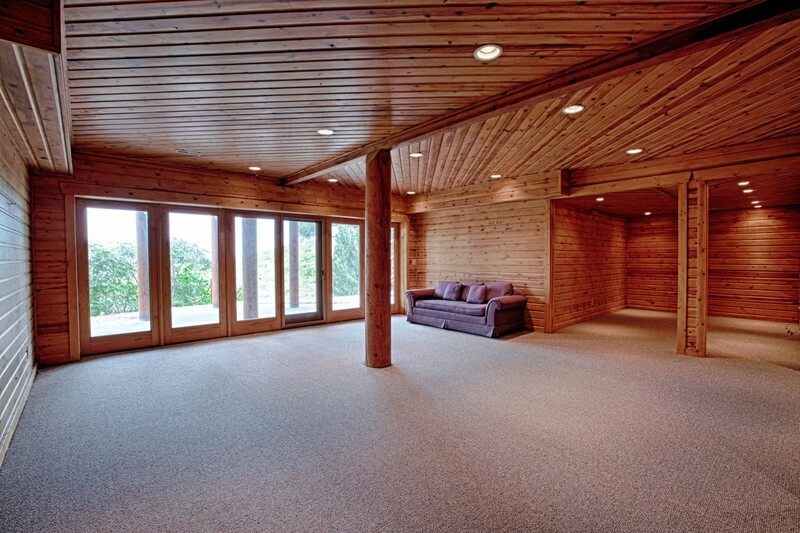 There is plenty of room for a billiard table, game table, and a home theater, for fun family times! It also has a second laundry room, rough-in plumbing for another bath, and a large storage/mechanical room. There is a rinse-off shower on the lower level for use after a fun day at the lake! 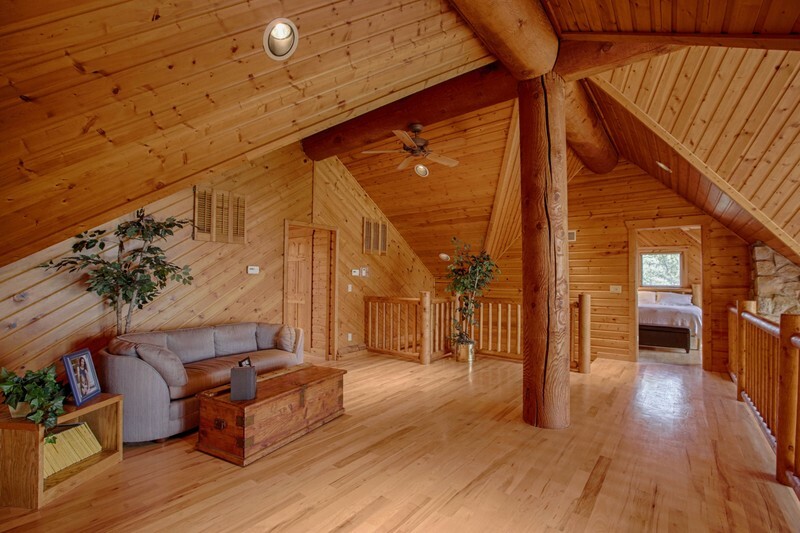 The home is well-situated in a perfect location, protected from the wind, as the adjacent lot is common ground that is planted with beautiful pine trees. The oversized garage has double and single garage doors and will accommodate 4 cars (tandem) or cars and your boat and water equipment. 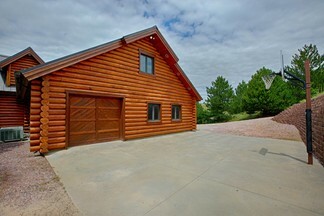 The garage floor is heated. 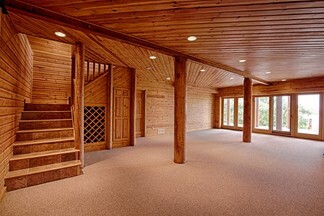 Adjacent to the garage is a large basketball court. 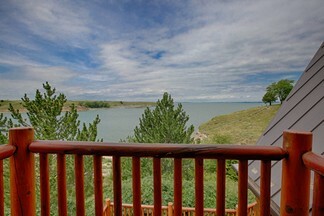 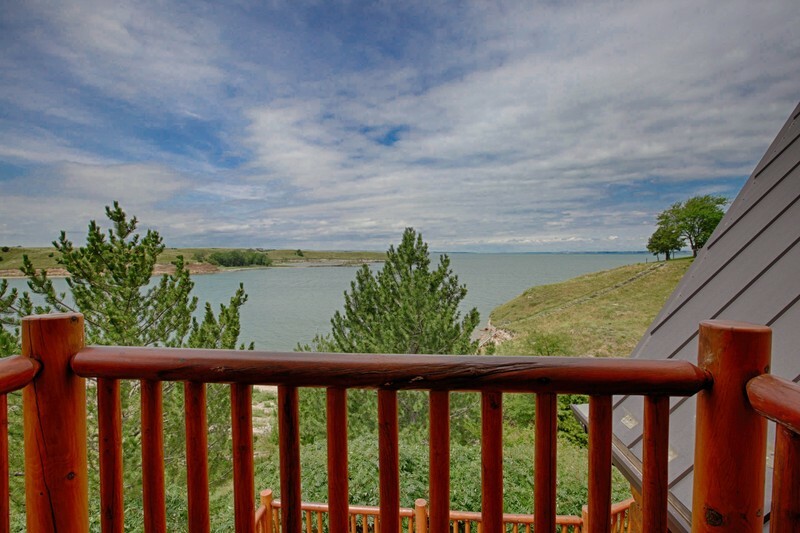 Lake McConaughy is just a pleasant three-hour drive from Denver, located 9 miles north of Ogallala near US Highway 26 and Nebraska Highway 61. 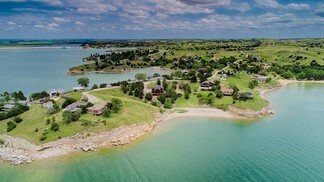 Lake Mac offers a full array of water sports, boating, camping, and fishing! 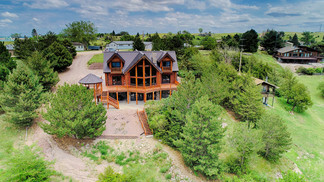 Victoria Gartelos is Co-Listor with Linda Fuller, Fuller & Associates, Ogallala, Nebraska. Victoria is a licensed real estate associate broker in Nebraska with Fuller & Associates and a licensed Broker in Colorado with Perry & Co.